Thank you for dropping by! 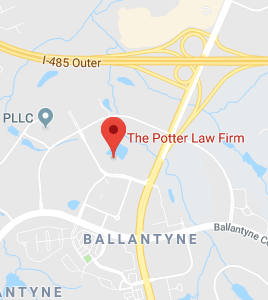 Here at the Potter Law Firm, we proudly serve our friends and neighbors in and around beautiful Erlanger, KY. They say that good things come in small packages, and this is right on the money when it comes to Erlanger. Our town is not tiny, so we enjoy all of the amenities that you would expect from any vibrant city. At the same time, we are surrounded by natural beauty, and Erlanger residents can bask in that unmistakable small town feel. As people with roots in the Erlanger, KY area, we understand the needs of our neighbors. We take our responsibility to the community to heart, because we are helping families. Since this is a relatively small town, we are all connected by slight degrees of separation, so we are a great big extended family in a very real sense. Statistics show that the majority of American adults do not have wills or any other estate planning documents. There are various different reasons why people fail to plan ahead, and one of them is a sense of intimidation. It can be difficult to talk to an estate planning attorney about your family, your finances, and your objectives. You are opening yourself up to someone that you have just met, and this can be hard to do. People who feel this way often tell us that they wish that they would have acted sooner once they actually meet us. We are sincere, down to earth, straight talking people who help others like us here in Erlanger who want to pass along their legacies to their loved ones. If you work with our law firm, we can assure you that you will feel comfortable every step of the way. We will answer all of your questions in an understandable way, and we will help you make fully informed estate planning decisions. Clearly, you arrange for the distribution of your assets when you plan your estate, and many people think that a last will is the best way to do this. A last will is actually a very limited tool, and there are better choices, even if you are not a millionaire. Many people in Erlanger are not aware of the fact that a will must be admitted to probate. This is a time consuming and expensive legal process. Plus, it is a public proceeding, so prying eyes can access probate records to find out how the assets were distributed. This loss of privacy can be disturbing. If you were to use a living trust instead of a last will, the assets could be distributed in a more timely and efficient manner, because the distributions would not be subject to probate. This is one type of trust that can be used, but there are a number of others. The optimal choice will depend upon the circumstances, and this is why you should talk things over with a licensed estate planning lawyer. When you think about estate planning, you may focus on things that will happen after you are gone. Clearly, this is part of the process, but there is another thing to take into consideration. If you are going to leave inheritances to your loved ones, you have to have something left to pass along. Many elders reside in nursing homes at the end of their lives, and Medicare does not pay for nursing home care. This is a very big part of the estate planning equation. As local Erlanger, KY estate planning and elder law attorneys, we advise clients who are concerned about long-term care costs. For most, Medicaid is the solution. This is a need-based government health insurance program, so you cannot qualify if you have significant assets in your own name. However, if you take the right steps at the right time, you can preserve your assets for the benefit of your loved ones and obtain Medicaid eligibility if you ever need nursing home care. We Are Here to Help You, Erlanger! You have found the ideal resource if you have been looking for a local estate planning attorney that you can feel comfortable working with. We would be glad to sit down with you, answer all of your questions, and help you devise a personalized estate plan if you decide that you would like to go forward. To set up a consultation, call us at (606) 324-5516 or send us a message. We look forward to assisting you!